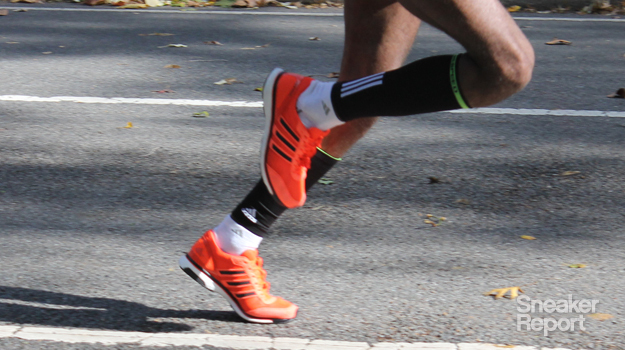 An on-feet recap from the 2014 NYC Marathon documenting the 100 fastest sneakers. 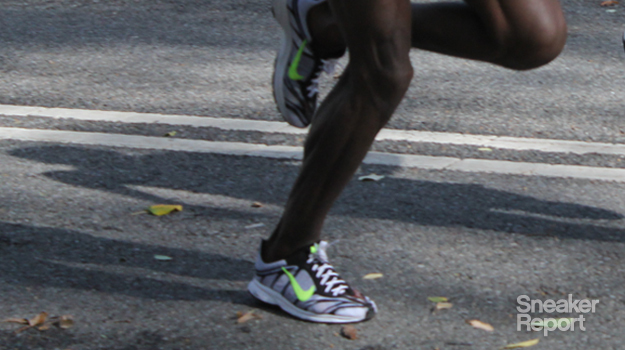 Want to know which sneakers finished towards the top at the 2014 NYC Marathon? 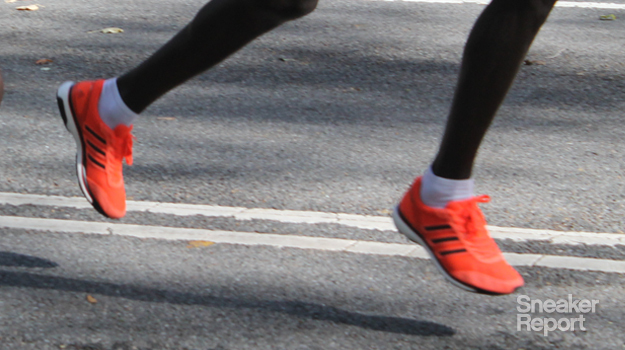 Sneaker Report has got you covered - they were on the scene capturing the on-feet wears of the top 100 finishers at the event on Sunday. 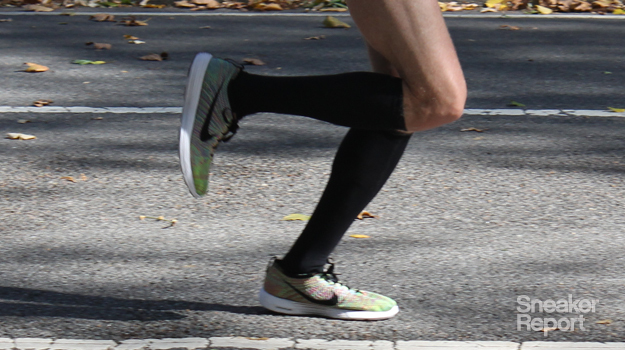 Interesting includes are the adidas adiZero Adios BOOS 2.0 as perhaps the most prolific shoe, a Skechers performance model in the top 5, and the awesome Nike Lunar Flyknit HTM NRG above worn by the 34th place finisher. Head to Sneaker Report for the full recap and tell us if you are particularly surprised by any of the inclusions.